Device networking is what powers M2M (machine to machine) communication. 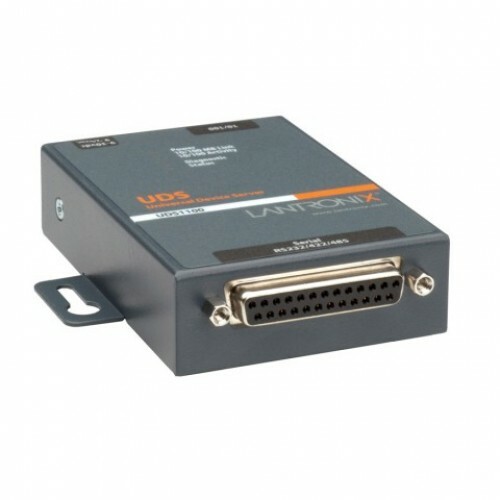 The UDS family of external device servers enables users to connect, manage and control just about any piece of equipment with a serial port from virtually anywhere over Ethernet or the Internet. With the UDS1100, virtually any piece of equipment can be added to an Ethernet network in a matter of minutes! This single-port external device server is a quick, simple and inexpensive way to bring the advantages of remote management to equipment not currently connected to a network. And with the UL 864 listing, fire and alarm panel equipment manufactures can easily add networking capabilities to their existing UL 864-listed products without the need to reapply to UL.